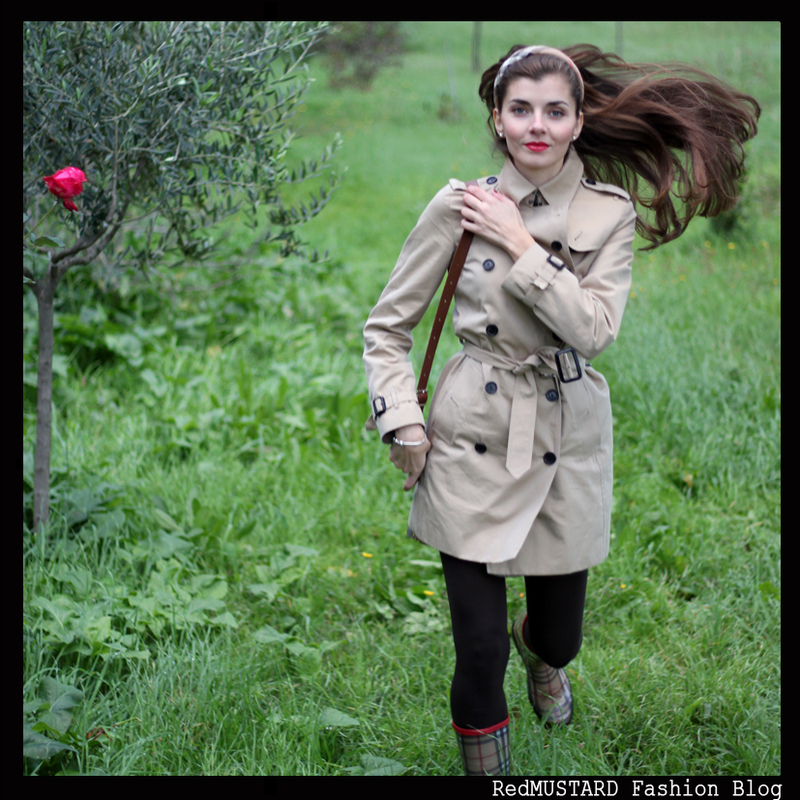 REDMUSTARD Fashion Blog: Trench + Rain Boots = RAIN LOOK! Gabardine, doppio petto e maniche raglan! Dopo averlo visto sulle esili spalle di Audrey Hapburn in "Colazione da Tiffany" è diventato il capo per eccellenza: comodo, pratico, elegante, da avere nell'armadio e sfoggiare in ogni occasione, con ogni tipo di outfit, dal tubino nero al jeans e t-shirt! Un must di stagione, anzi di stagioni: io lo indosso tutto l'anno, primavera, estate, autunno, inverno...non c'è stagione in cui il Trench resti chiuso nell'armadio! 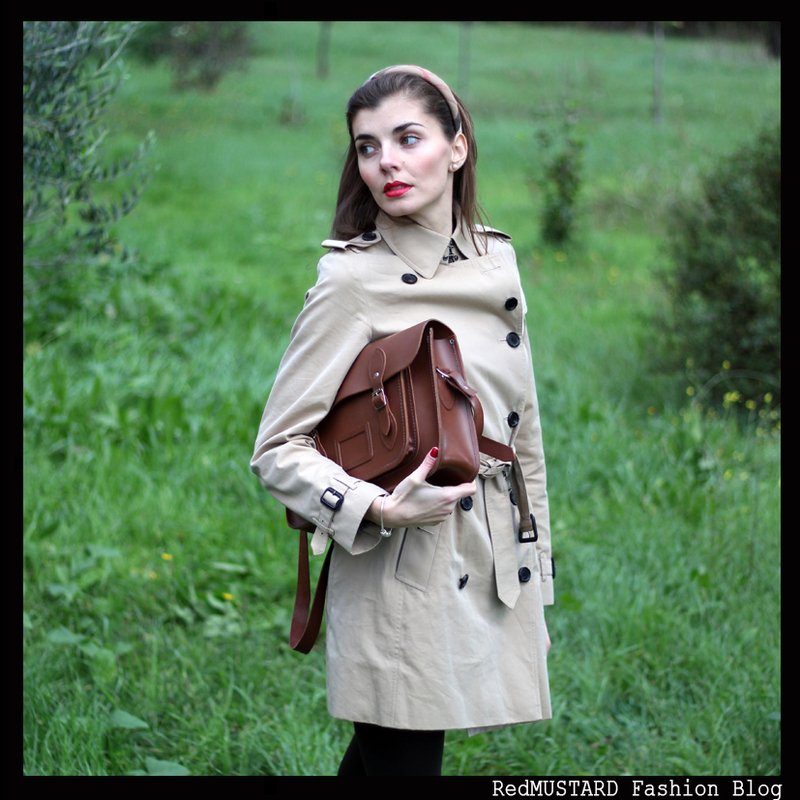 In queste giornate particolarmente piovose sto facendo un grande utilizzo del Trench...queste sono le foto del mio outfit di oggi....un look a prova di pioggia: Trench allacciato in vita e borsa made in UK....e naturalmente, per un look da pioggia, non potevano mancare le "galosce"!! A presto con un nuovo outfit! V.
Gabardine, double-breasted, raglan sleeves! 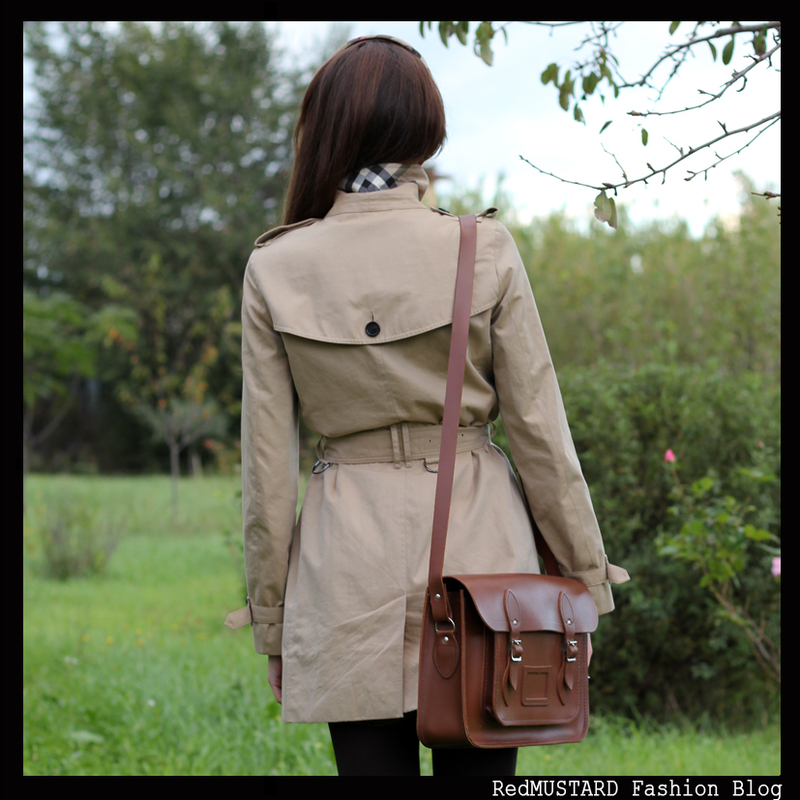 After Audrey Hapburn in "Breakfast at Tiffany's" the trench coat became the piece for excellence: comfortable, practical and stylish, to have in the closet and show off at every opportunity, with all kinds of outfits, from the little black dress to jeans and t-shirt! A must for the season, and even of seasons: I wear it all year round, spring, summer, autumn, winter....there is no season in which the trench remains locked in the closet! 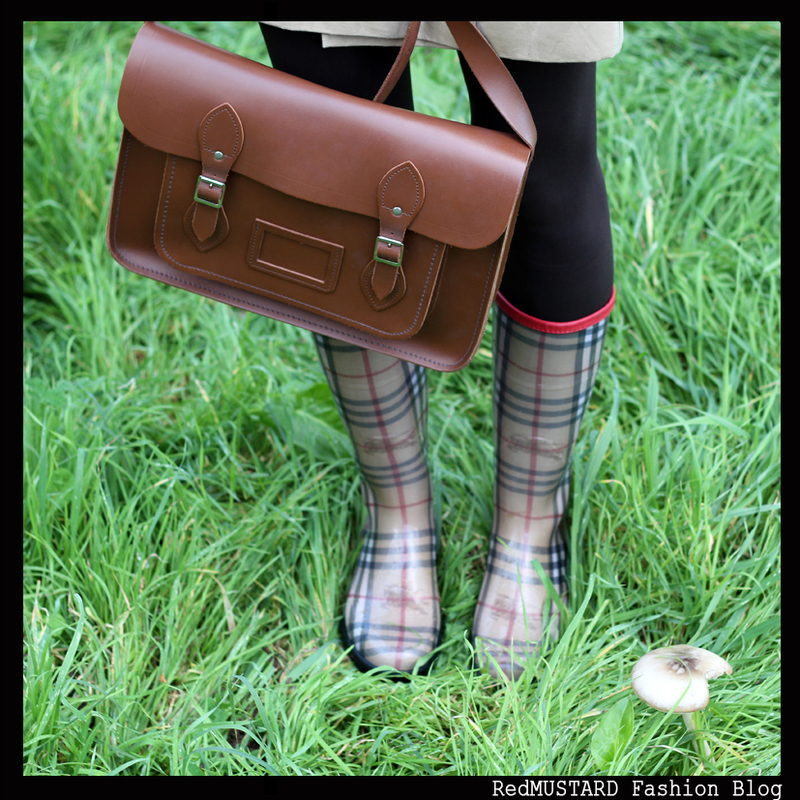 In these rainy days, I am using a lot of the Trench....these are pictures of my outfit of today...a "rain-proof" look: Trench tied at the waist and bag made ​​in UK...and for a "rain-look", could not miss the "rain boots"!! See you soon with a new outfit! V.
Pretty trench. Everyone has a trench coat in Seattle. (lol) It rains a lot here. I'd love to wear yours. Follow you back with pleasure! Hope, we keep in touch! ciao bellissima, ho trovato il tuo commento sul mio blog! così sn passata da te per diventare tua follower! Thank you so much for your comment darling, I'm now following you! Love so much this combination, really lovely! hi! nice blog, im following you now with bloglovin and gfc! 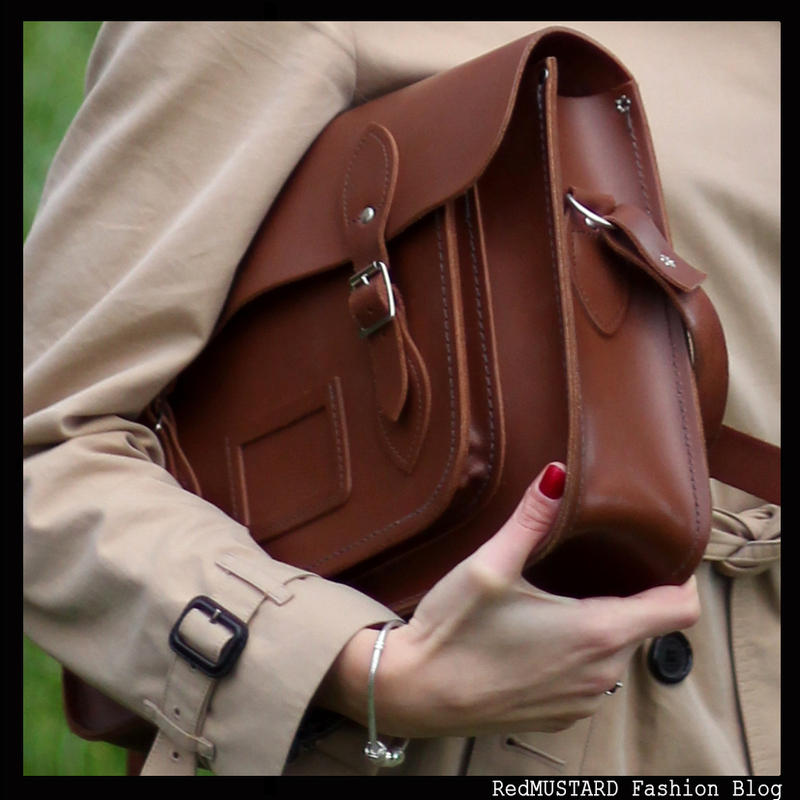 This is a lovely look and I really love that bag! I love your style! and you are so pretty! Veramente un look favoloso! Lo adoro e mi ci riconosco ;-) Complimenti per il tuo blog... lo sto scoprendo! Se ti va fai un salto da me su http://www.chicnuggets.com, mi farebbe tanto piacere!